A sock's a sock right? Well, no, not really! Horizon have been manufacturing traditional and technical socks since 1999. There have been many changes in the 'sock world' since then, whether it is the technical yarns, the machinery or the ever more ambitious designs and styles. What hasn't changed are Horizon's core values; Quality, comfort, performance and durability. Horizon has gone to great lengths to produce a range of technical socks which we think will be every bit as important to outdoor users, athletes, skiers and boarders as butter is to hot toast. The outdoor collection is undoubtedly our best yet with the emphasis on fine quality Merino Wool and Coolmax technical socks. 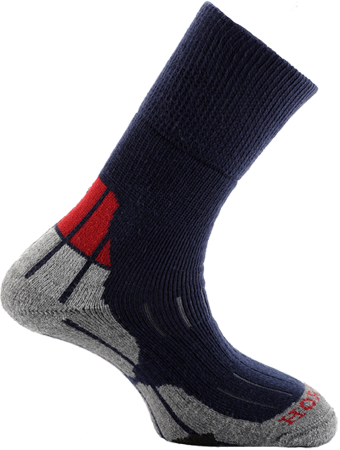 Technical socks are in demand more than ever and are no longer seen as a luxury for the few but as an essential piece of kit by the many. Horizon offer a comprehensive range of technical and traditional socks.